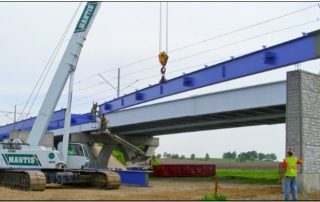 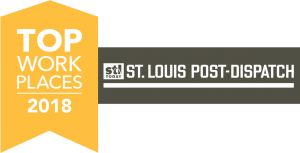 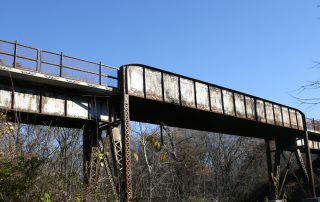 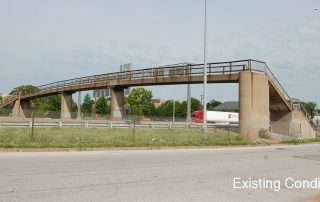 Nickel Plate Trail Bridge - St. Louis Engineering Firm | Thouvenot, Wade & Moerchen | TWM, Inc.
TWM designed the extension of the Nickel Plate Trail from Fruit Road in Edwardsville to U.S. Route 140 in Alhambra. 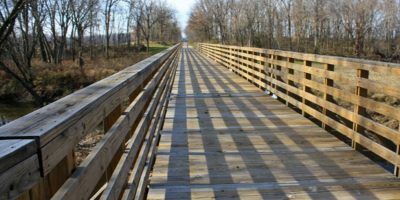 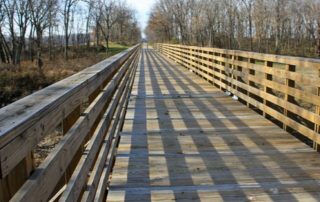 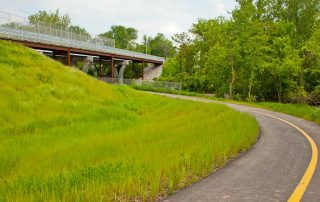 The 8.3-mile asphalt and limestone extension increased the Nickel Plate Trail’s total length to approximately 22 miles and in doing so connected the Village of Alhambra and its residents to the County’s full network of trails. 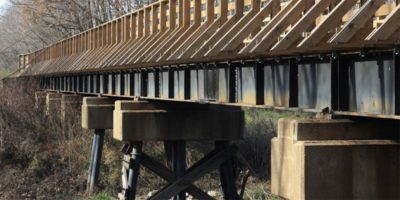 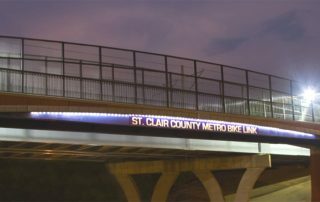 As part of the project, TWM reused an existing 270’ bridge by retaining the basic structure but retrofitting the decking and railing for use by cyclists. 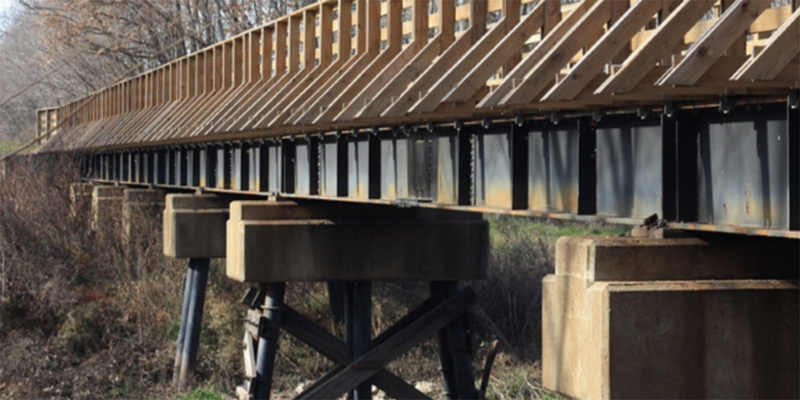 TWM also designed modifications to the superstructure so a pier could be removed from the channel.